Our golf fitness and performance service is aimed to improve the fitness and flexibility needed to maintain golfing performance. 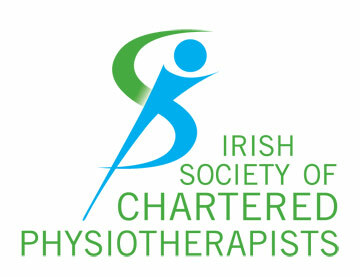 This will also allow an opportunity to consider any injuries or niggles that may be impacting on your golf performance. You will also receive a digital copy of all the parts of your programme at the end of the session. Following your initial assessment you can link into our Peak Performance Training Sessions to continue your progress with us. Using our state of the art gym facilities we will work with you to help achieve your personal goals. Our Chartered Physiotherapist leading the sessions has years of experience working with amateur and elite golfers around the world famous Carnoustie Golf Links (Home to this years British Open). 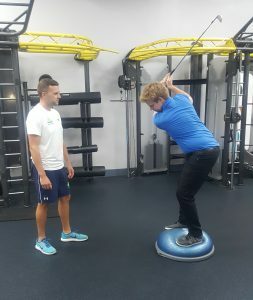 Whether your goal is to reduce your handicap, win the club championship, improve shot consistency or help with a golf related injury get in touch with us and you can be seen in either of our Ballsbridge or City Centre clinics. To learn more about fitness and golf performance follow the link to our blog here.